Our hillside Sonoma lodging now features a luxurious pool and hot tub area for guests to enjoy throughout the year. The pool is lighted for relaxing evening swims and heated from spring to fall. Soak in the California sun on our various poolside lounge seating. Book your stay to escape to our Sonoma poolside paradise today! “Swedish” massage uses long strokes designed to relax, revitalize and rejuvenate. “Firm” massage uses a firmer pressure to help relieve more problematic areas. Intimate, romantic massage for two at no additional cost. Each guest has a choice of Swedish or Firm massage. Come have some fun learning how to massage each other. 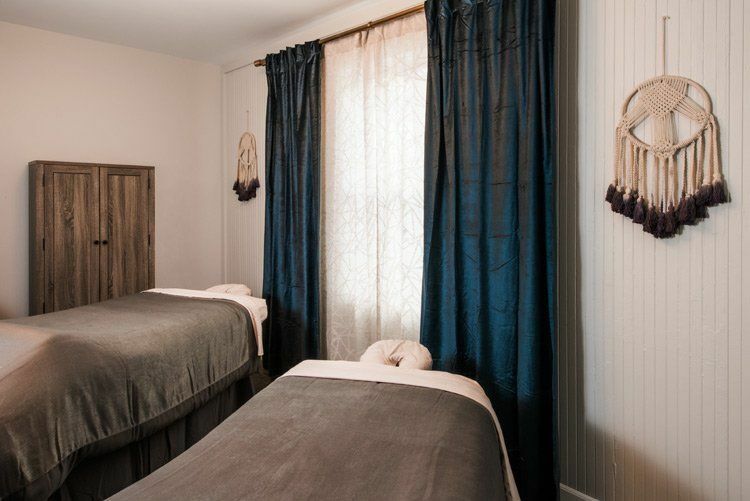 You will take turns being on the table and leave for home with the gift of knowing how your partner wants to be massaged, taught by one of our massage therapists!